OLYMPUS Stream software offers intelligent step-by-step workflows to acquire sharp, crisp images that are ready for quantitative measurements and professional reporting based on the latest standards. 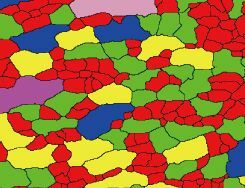 Users of any experience level can conduct complex image analysis tasks, from image acquisition to standard reporting, under any imaging condition. Designed for flexibility, the software has a broad scope of functions necessary to conduct fast, precise observations on a variety of samples while maintaining data security and reliability. Optional solutions enable users to adapt OLYMPUS Stream software to their application, including quality analysis, research and development, process development, and quality control. Try On OLYMPUS Stream for 30 days free of charge. Click "Request a Demo" and note that you would like a 30-day license in the first box. The dynamic user interface reduces desktop clutter and confusion by only displaying the tools and functions you want to use. The interface guides you through every step of the process, including image capture, image processing, and report creation. Both simple and complex measurements can be easily conducted using the software’s intuitive set of tools. Do you encounter the following situations frequently? I need software that’s easy to use. I need to know the status of hardware components. I have to quickly inspect a live image. I need to capture an image with HDR. I need a larger field of view. I want my entire panoramic image to be in focus. OLYMPUS Stream software is the solution. The software’s organized layouts contain the minimum necessary functions for performing the required tasks. Simplified layouts help streamline the inspection workflow and efficiently guide users through the inspection process. The software supports live image functions for instant feedback. The software enables you to interact with the live image, which is automatically calibrated, and perform quantitative measurements. Quickly create images of samples that extend beyond the standard depth of focus or the field of view. The instant extended focus image (EFI) function uses the fine focus adjustment to combine many images taken at different Z-levels to build a single combined image that is entirely in focus. Instant multiple image alignment (MIA) makes it easy to create panoramic images simply by moving the XY stage; a motorized stage is no longer necessary. Quickly recall previously used camera settings to capture repeatable images with a consistent look and feel. When using a motorized microscope, this function can automatically recall previous hardware settings. If you’re using a BX, GX, or MX series microscope, the software guides you to manually recall settings. This solution creates height maps from stacks of images acquired automatically or manually at different Z positions. The resulting image can be visualized in three dimensions using the surface view. Measurements, such as 3D profiles and height differences between two or several points, can be performed, and the results exported into workbooks and Microsoft Excel spreadsheets. Have you ever encountered the following problems? I’d like to take images of large areas repeatedly and efficiently. I cannot remember the order of functions to be used. I need quantitative information from my sample. I want to create and edit a report quickly. I’d like to show the image with the magnification. I need to create a report that addresses the needs of my customer. I need to update my report with a new image and measurement. OLYMPUS Stream software has the solution. The software guides you through the correct order of functions when performing image analysis, including methods that comply with most common international standards. When using a motorized stage, the alignment feature speeds up your work on multiple sample locations. Please refer to the Solution tab for more Materials Solutions information. The automatic calibration feature uses a standard micrometer to calibrate the microscope and automatically generates a calibration report. This helps eliminate user variability in the calibration process for more reliable measurements. The software’s automated tools can create a very large set of data in just a few minutes. Automatic magnification calibration using a calibrated grating reticle helps ensure that your images are displayed with the proper scale bar and that your measurements are confirmed. Large areas can be imaged automatically using motorized XYZ stages, enabling the creation of images of large parts with high resolution. The software tools features quantitative information about your sample. Interactive measurements on live and still images provide the basic dimensional information (length, area, and diameter), and the results are directly visible on the image. Advanced interactive measurements include the magic wand and complex polygonal shapes for semiautomatic area measurement, while the count and measure solution provides access to more than a one-hundred single particle parameters for quantitative analysis based on the threshold method. Creating a report often takes longer than capturing the image and taking the measurements. With the software, you can repeatedly produce smart and sophisticated reports based on predefined templates. Editing is simple, and reports can be exported to Microsoft Word, Excel, or PowerPoint. In addition, the software’s reporting tool enables digital zooming and magnification on acquired images. Report files are a reasonable size for easier data exchange by email. OLYMPUS Stream software is a powerful and user-friendly tool for making measurements, developed for Olympus microscopes with the assistance of experienced microscope users. The software is available in a variety of packages designed to fit various needs from the entry-level OLYMPUS Stream Start software to advanced packages. OLYMPUS Stream software is available in four packages based on functionality—Start, Basic, Essentials, and Motion. 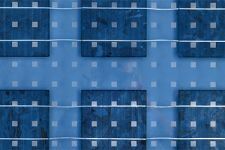 Application-specific materials solution modules can be added to streamline repetitive analysis tasks. Olympus representatives can help you determine which package is right for you. The BX53M microscope employs coded functions that integrate the microscope’s hardware settings with OLYMPUS Stream software. The observation method, illumination intensity, and objective position are all recorded by the software and/or the handset. The microscope settings can be automatically saved with each image, making it easier to reproduce the settings at a later time and provide documentation for reporting purposes. 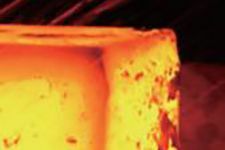 Our digital cameras provide high-resolution viewing and fast image transfer while our software provides all the tools needed for today's complex metallurgical requirements. Choose from extended measurements, standard metallography, and advanced metallography application-specific modules (over a dozen application specific routines are available), and automatically populate data and create reports that comply with common ASTM and ISO specifications. 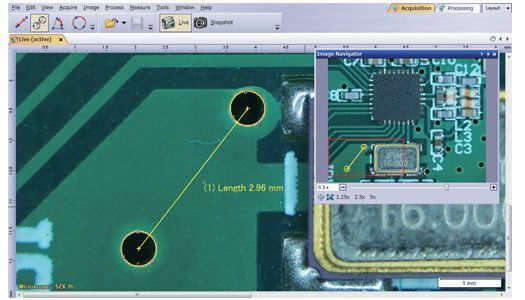 We offer several software platforms that integrate with our semiconductor microscope frames to control all motorized functions, including the digital camera and motorized stage. Each interface is designed for basic inspection and control, advanced image analysis, or repetitive site inspection and defect review. Our stereo microscope motorized focus drive makes digital documentation with extended focal imaging (EFI) efficient and fully automatic. This even enables the creation of pseudo 3D images. The software offers tools for simple 2D measurements up to complex phase analysis and support many operations including observation, report generation, database creation, and archiving. Use OLYMPUS Stream software for post-processing (Stream Desktop) with the complete range of DSX series digital microscopes and the LEXT 3D measuring laser microscope. Excellent spatial resolution combined with a high pixel count exploit the full optical resolution of the objectives and enable the structures and details within the smallest samples to be imaged, even with low magnification objectives. High-definition images enable you to make observations exclusively on-screen without using the eyepieces. High dynamic range (HDR) imaging improves image contrast in difficult conditions (very bright areas together with very dark areas in the same image). All cameras supported by OLYMPUS Stream software can be used in this mode, and dedicated cameras have an available live mode. 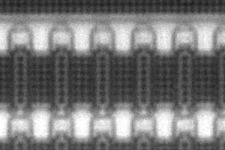 This illumination technique combines directional darkfield, which uses a circular LED to illuminate one or more quadrants at a given time, , and brightfield, fluorescence, or polarization, enabling you to highlight defects and differentiate raised surfaces from depressions that are normally difficult to see with conventional microscopes. 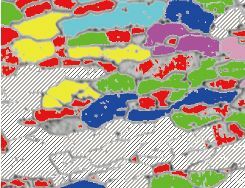 MIX observation helps reduce a sample’s halation and is useful for visualizing a sample’s surface texture. Industrial labs often require repeatable and reproducible results as part of their standard operating procedures. OLYMPUS Stream software facilitates inspection, measurement, and analysis with a simple and reliable workflow. The software offers a variety of tools for various materials science analyses, so you can be confident in your results. The software’s count and measure solution uses advanced threshold methods to reliably separate objects, such as particles and scratches, from the background. More than 50 different object measurement and classification parameters are available, including shape, size, position, and pixel properties. You can preset complex imaging and measurement tasks with the macro manager and then execute it with a single click. The software has a variety of useful filters for edge detection, smoothing, and other purposes. The OLYMPUS Stream 3D solution provides coded and motorized Z control and instant EFI with height mapping capabilities to measure a three-dimensional sample. Metallography is used in materials development, incoming inspection, production and manufacturing control, and failure analysis. To produce parts that are high quality, scratches, cracks, pore size, and contamination is strictly monitored during the production process. 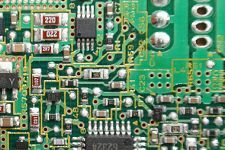 In printed circuit boards, very thin plates are coated and verifying the homogeneity of this coating is a key element of product quality. Surface coatings are any mixture of film-forming materials that contain pigments, solvents, and other additives, which, when applied to a surface and cured or dried, yields a thin film that is functional and often decorative. Grain Intercept Steel manufacturers use this solution for measuring and controlling grain size after cross-sectioning, polishing, or etching steel samples. This function is based on overlaying of “test lines” and counting the number of intercepts with grain boundaries. Grain Planimetric Steel manufacturers use this solution for measuring and controlling grain size after cross-sectioning, polishing, or etching steel samples. This function reconstructs boundaries for each grain and conducts grain sizing with the area percentage of the second phase. 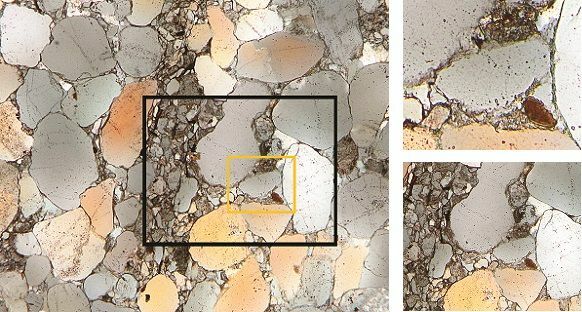 Inclusion Worst Field Steel manufacturers use this solution for measuring and controlling the shape and size of nonmetallic inclusions (oxide, alumina, sulfide, or silicate) in steel. 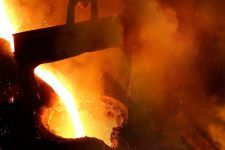 Cast Iron Casting manufacturers who need to measure and control the graphite nodularity and check the mechanical characteristics of their cast products use this solution. Chart Comparison A live or still image can be overlaid onto standard charts for comparison. Function preview is available. Layer Thickness One or multiple layers of a cross-sectioned sample can be measured using the Layer Thickness solution. The shapes are defined, and the layers automatically measured. Coating Thickness This solution enables the measurement of coating thickness from top-view images using the Calotest method. Automatic Measurements This solution is used for creating measurements based on edge-detection on a live image with pattern recognition. Throwing Power This solution measures the distribution of copper plating thickness in through-holes or micro-vias. Porosity This solution enables pores to be measured either for area fraction or the number of surface pores using ROIs (circular, triangular, rectangular, and polygonal) and thresholds. Particle Distribution This solution is used to create particle size distribution histograms and tables from multiple images or image series. Advanced Phase Analysis This feature offers a new integrated solution to perform phase analysis on a selection of various regions of interest (ROIs) including triangles, circles, rectangles, and polygons. *1 Requires the DP74 camera, and the Live HDR function requires 64-bit OS. *7 Supports MX61A, MX61, MX61L, MX61A, MX63L, MX63, GX53, BX3M-CB, BX3M-CBFM, BX-UCB, BX-REMCB, IX-UCB, SZX-MDCU, SZX2-MDCU, U-CBS, STM7. *8 Supports DP21, DP22, DP26, DP27, DP73, DP74, LC20, LC30, SC30, SC50, SC100, SC180, UC30, UC50, UC90, XC10, XC30, XC50, XM10. *10 The DP74 supports Windows 10/8.1 (64-bit) and Windows 7 (32-bit/64-bit). The DP73 supports Windows 8.1/7 (64-bit). The SC180/UC90 support Windows 10/8.1/7 (64-bit). *11 Required configurations for LiveHDR in DP74. Graphic board applicable to CUDA made by NVIDIA (compute capability 2.1 or higher). Graphic board driver applicable to CUDA 7.0 or higher. 3D □ Included Partially included* 3D Surface View, 3D Measurement, 3D Profile Measurement, Motorized Z-stack/EFI, Instant EFI with height map (requires coded or motorized Z-axis). Automation Solution (Motorized/Manual/Instant MIA, Motorized/Instant EFI without height map (requires coded or motorized XYZ-axis) and with time lapse. Weld Measurement □ □ □ Weld Measurement solution (measurements for geometric distortion introduced by the heating during welding). Spreadsheet and charts with individual and distribution measurements. Layer Thickness Layer boundaries can be specified using automatic detection, magic wand, or manual mode (using 2 or 3 points). Measurement of any type of layers (with even or uneven boundaries) is supported. Layer thickness measurement calculates mean, maximum, and minimum values as well as statistical data for each individual layer. Particle Distribution Particles are defined using simplified threshold settings. Please confirm here if since there are some restrictions of the software version combination as follows.